Waterproof keyboard, with 55 keys including 31 functional keys and 24 easily configurable for PLU's, TLU's and 4 additional operators. 776120 GPEMIT scale, 12/30 kg capacity, 2/5g division, with stainless steel structure and 360x235mm plate, dual backlit LCD display, double keyboard membrane/mechanical 62 Keys and thermal printer mounted on column. 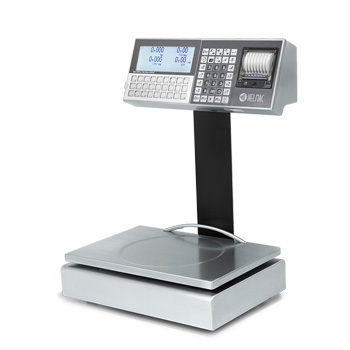 776320 GPEMIT scale, 15/30 kg capacity, 5/10 g division, with stainless steel structure and 360x235mm plate, dual backlit LCD display, double keyboard membrane/mechanical 62 Keys and thermal printer mounted on column. 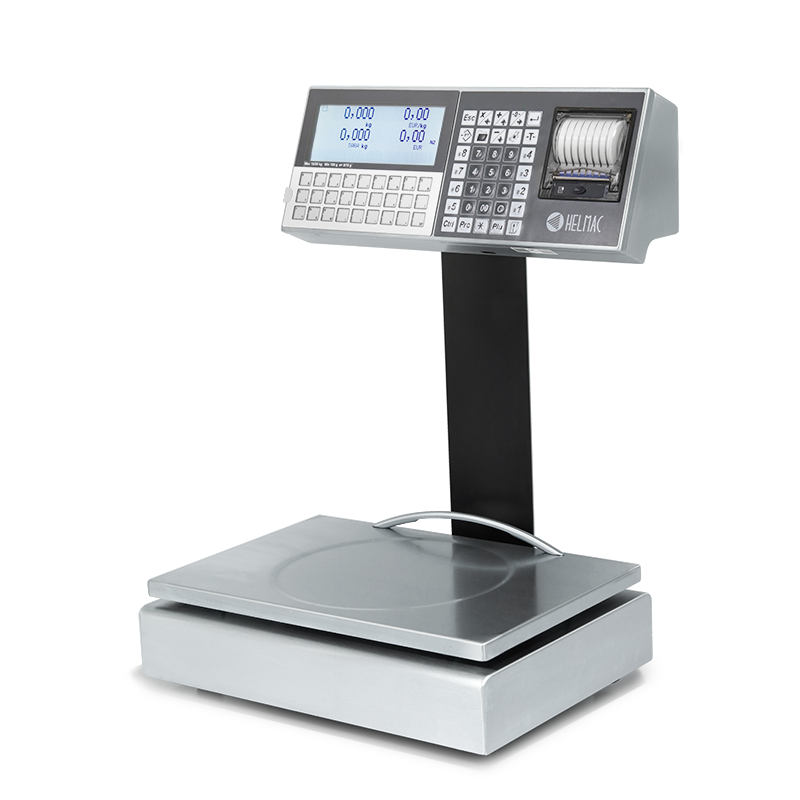 776520 GPEMIT scale, 6/15 kg capacity, 2/5g division, with stainless steel structure and 360x235mm plate, dual backlit LCD display, double keyboard membrane/mechanical 62 Keys and thermal printer mounted on column.